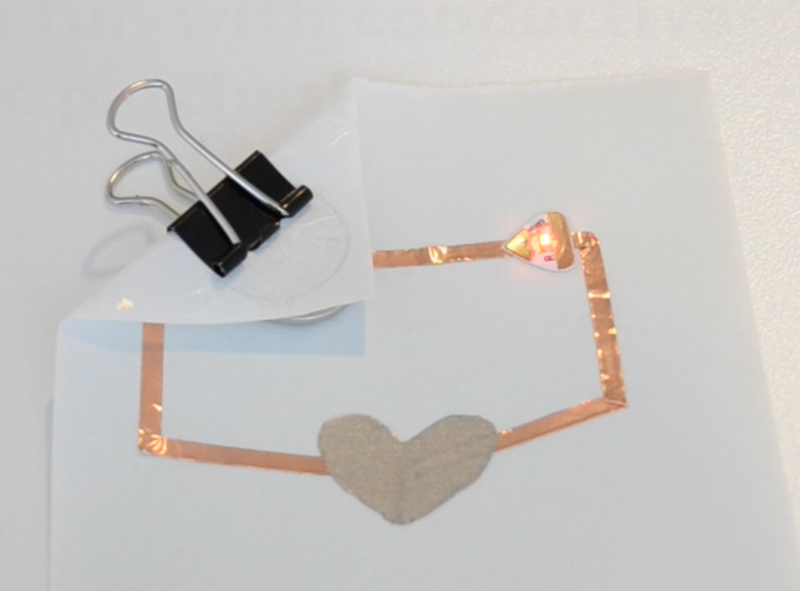 Use conductive fabric patches to fix loose circuit connections and make branches in your copper tape! This tutorial will show you how to make your own conductive fabric tape and apply it in common fixes. 1. Cut a piece of conductive fabric that is slightly larger than your Z-axis tape. 2. Peel off the paper backing from the Z-axis tape and stick it to the fabric. Press across the tape and fabric to make sure they are firmly stuck together. 3. You’re done making the conductive fabric tape! Now just cut a small strip of this to patch up your circuit. 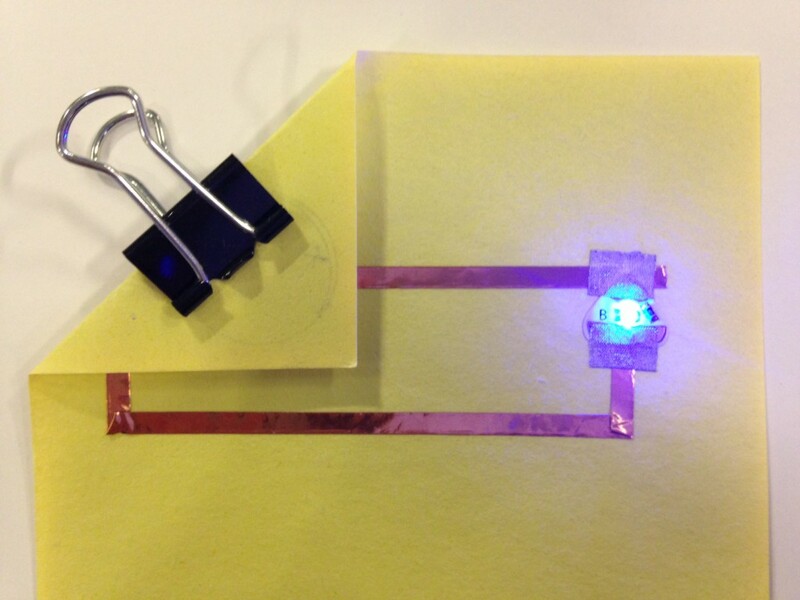 Stick the fabric patch over both pieces of copper tape to make a secure circuit connection. 4. Made the gap too big between your sticker and the copper tape? Stick the fabric patch across the copper tape and sticker pad to bridge the gap. 5. Taping over the sticker with copper tape and the connection isn’t working? Tape over the pad and copper tape with a fabric patch to bridge the connection.